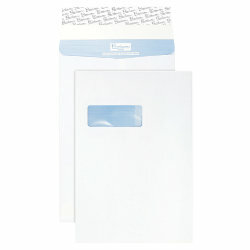 Premium Secure Tear Resistant Gusset Envelopes. Envelope Type: Plain. Seal: Peel and Seal. Paperweight: 125 g/m_. Dimensions: 324 x 229 mm (w x h). Quantity: 100 pieces. Colour: White. Office Depot Metallic Padded Mailer. Paperweight: 80 g/m_. Art Of Lock: Peel and Seal. Window: No. Cardboard backside: No. Envelope Quality: Standard. Hot Melt: No. Standardized Envelope Format: C/0. Diameter: 10 mm. Width: 150 mm. Depth: 6 mm. Height: 210 mm. Colour: Red. Quantity: 100 Pieces. Office Depot Metallic Foil Pocket Envelope. Paperweight:81 g/m_. Art Of Lock: Peel and Seal. Window: No. Cardboard Backside: No. Envelope Quality: Standard. Hot Melt: No. Format: C5. Fold: 70 mm. Width: 162 mm. Depth: 0.08 mm. Height: 229 mm. Colour: Gold. Quantity: 100 Pieces. Office Depot Metallic Padded Mailer. Paperweight: 80 g/m_. Art Of Lock: Peel and Seal. Window: No. Cardboard backside: No. Envelope Quality: Standard. Hot Melt: No. Standardized Envelope Format: H/5. Diameter: 10 mm. Width: 270 mm. Depth: 6 mm. Height: 360 mm. Colour: Dark Blue. Quantity: 100 Pieces.